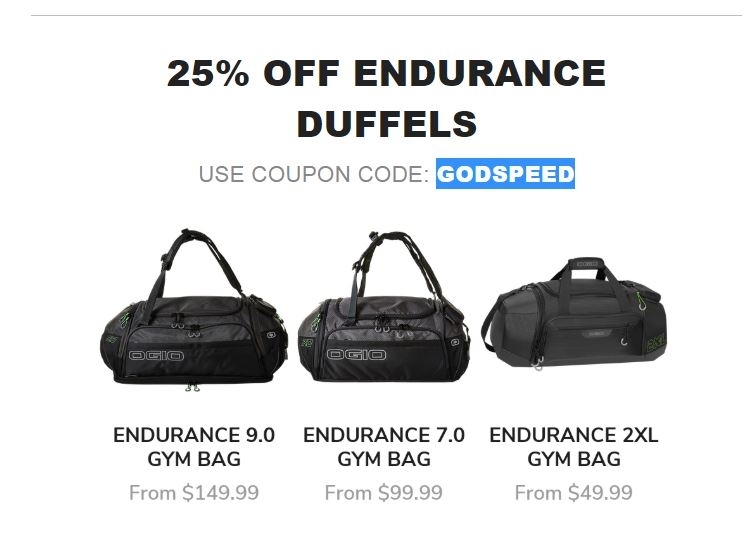 Freddy Use promotional code to get a cool deal: 25% off on endurance duffels. Must apply coupon code GODSPEED to your shopping cart for special savings. Not Valid at retail locations. Excludes Outlet purchases. Other limitations apply.